BLACK. All black with a dash of white is always a good idea if you ask me! The lovely coat is a new favorite from Dagmar that I’ve been wearing a lot lately and the cozy knit + boots are from Emerson Fry. COAT Dagmar. 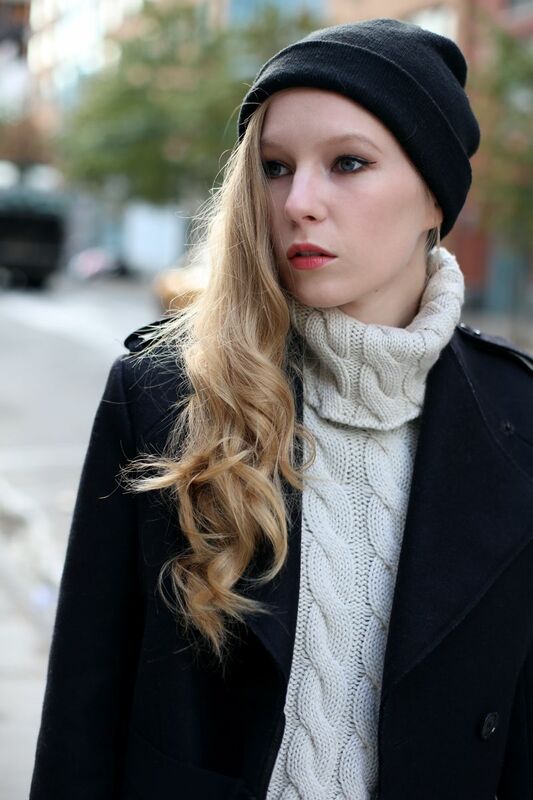 BEANIE Asos. SWEATER Emerson Fry. JEANS J Brand. BAG Proenza Schouler. BOOTSEmerson Fry.